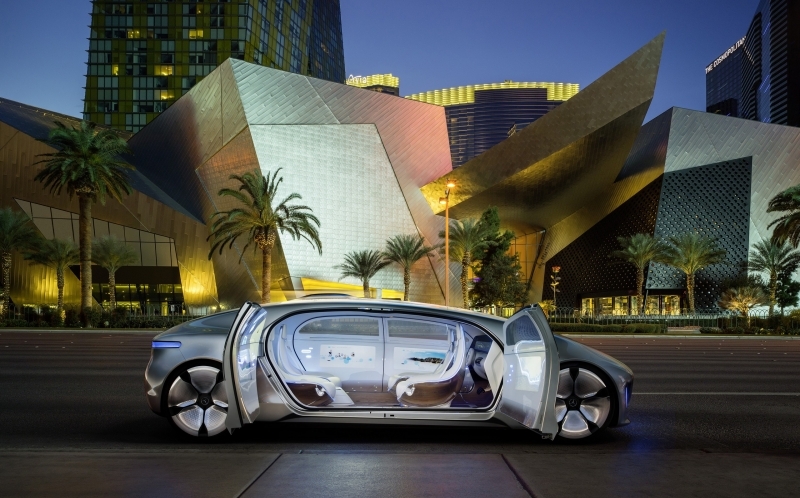 With the Mercedes F015, the future of driving is within reach. Mercedes set out with a team of innovative and creative experts to build tomorrow's car today, and created what they refer to as Luxury in Motion. The company's concept car, the F015, is more than just a car; it's a personal haven and private retreat that allows its driver a whole new experience with mobile living space. 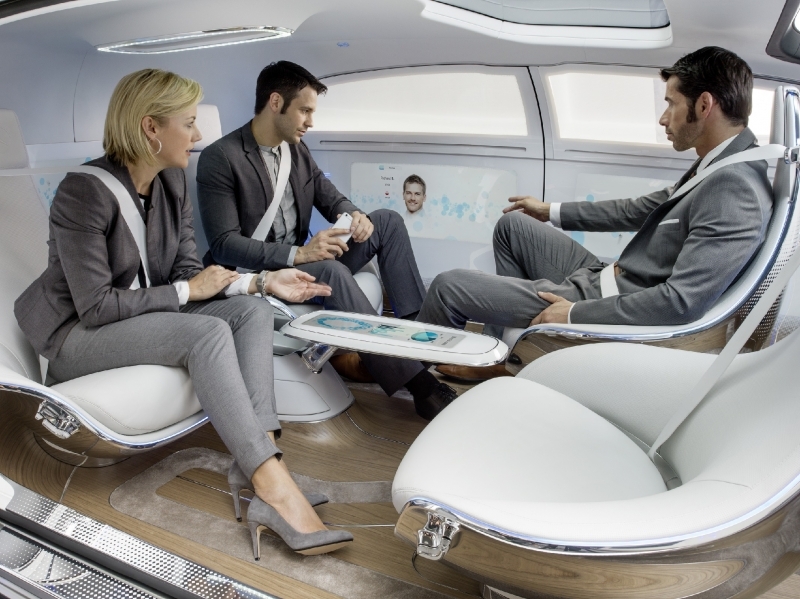 The F015 is more than just spacious and modern; it's also self-driving. And there's more to gain than just comfort and safety from autonomous driving. 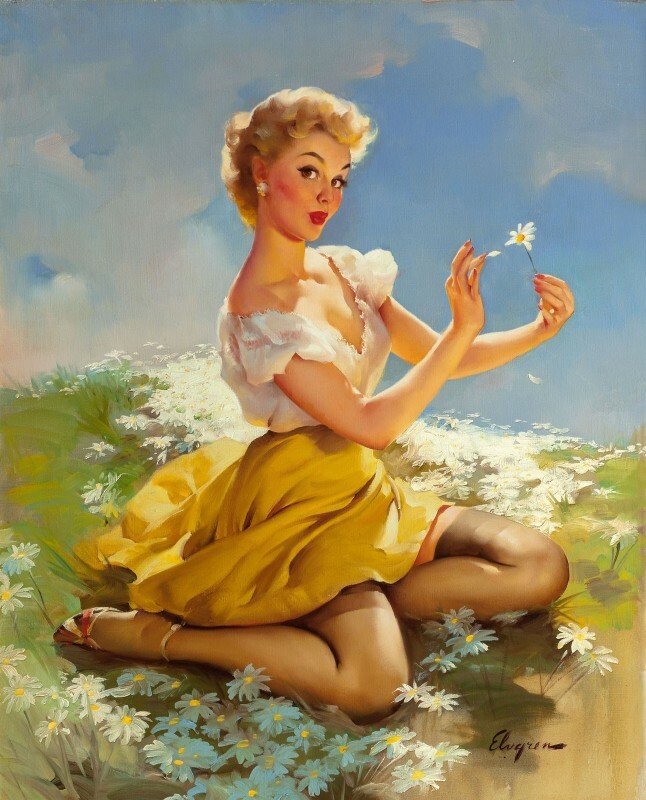 There's time, and that's exactly what Mercedes had in mind, giving something that no car has ever been able to give. It created a place like home, with all the amenities, to make the commute less like work and more like life. 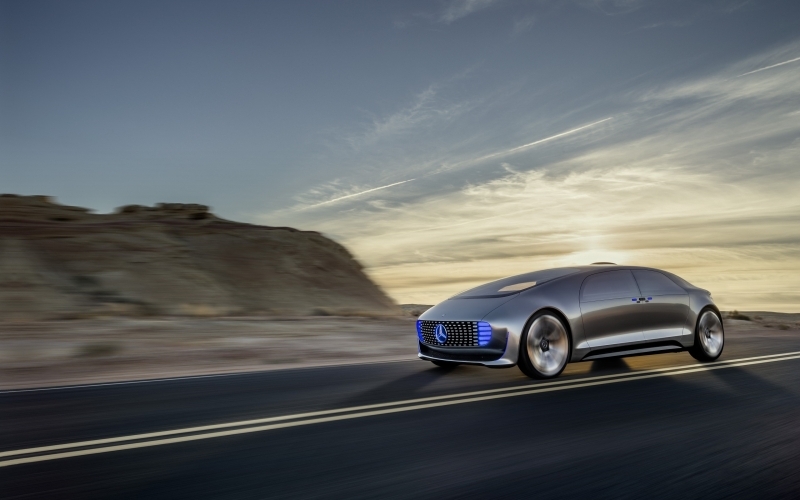 With the Mercedes F015, driving in the future goes beyond driving. The picturesque car in the decades to come, the F015 features a low slung front end followed by a streamlined roof, giving it an avant-garde silhouette that's modern and sleek. Its saloon-styled doors open a full 90 degrees, making entering and exiting, as well as loading and unloading, simple and easy. Made from carbon-fiber reinforced plastic, aluminum, glass, and high strength steel, the F015 looks modern and fresh while reaching safety levels unprecedented in today's vehicles. By combining metal, natural, and fabricated materials into a smooth and spacious vehicle, it creates a look that's new, yet comfortable and welcoming. The F015 features an innovative PRE-SAFE body structure, making it safer than anything seen today. On impact, this system deploys, inflating to protect passengers and absorb the energy caused by a collision. Its self-navigation system is the future of driving, increasing safety ratings and eliminating human error. The F015 also features front and rear LED displays and a laser projection system to keep other vehicles and drivers aware. Because it's based on an electric hybrid system, the Mercedes F015 concept car can go over 650 miles—around 125 miles from battery power and 550 from the fuel cell—without any emissions, making it a safe choice for its passengers and the environment. 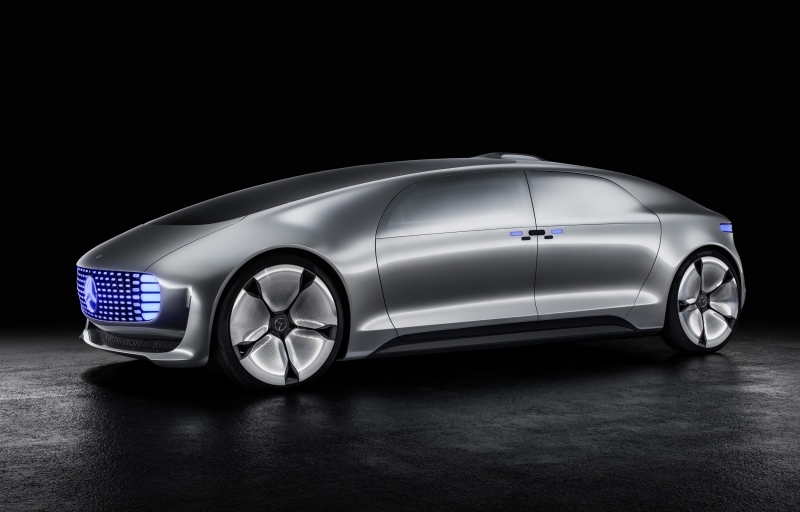 While the Mercedes F015 is futuristic, its beauty can not be denied. Each of the four cabin seats rotate, creating the ability for four passengers to sit face to face in what feels more like a lounge than a car. The F015 cabin is surrounded by six display screens integrated into the front, rear, and side interior panels, creating a digital living space designed to give the driver everything at the touch of a finger. Trimmed with walnut wood, an open pore walnut floor, and elegant, white nappa leather, it's the essence of luxury in open space. 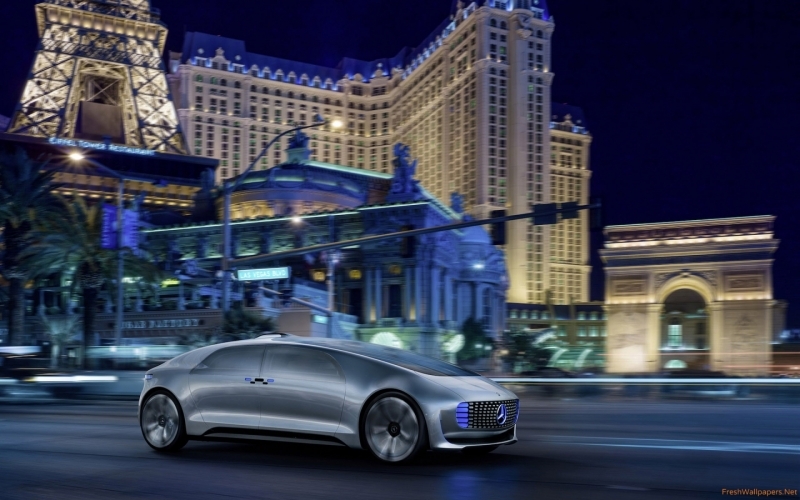 The future has arrived with the Mercedes F015 concept car. It's more than just a car, it's a personal hub. With direct car and driver interactions, the driver easily accesses what's needed with a few gestures, eye tracking, or verbal commands. Through the F015's high resolution touch screens, information is continually passed between the F015, its passengers, and the outside world, creating a continuity and community that works as one. 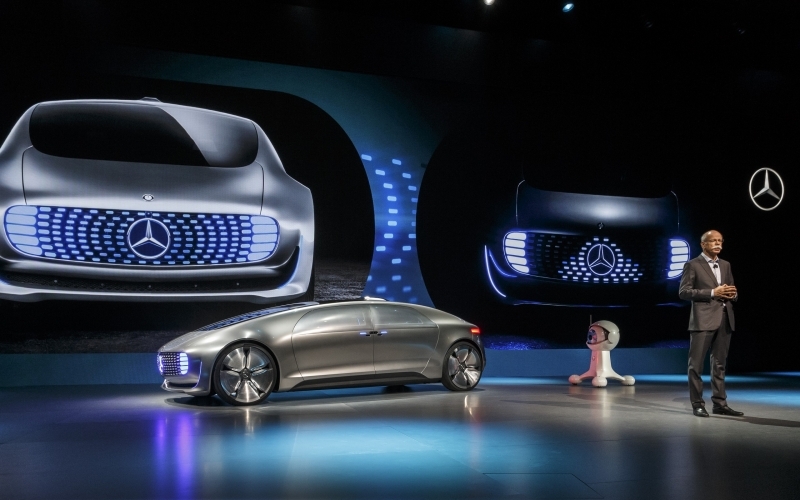 To see the future, look at Mercedes' visionary take on where driving will be, the F015 concept car is the future of driving.